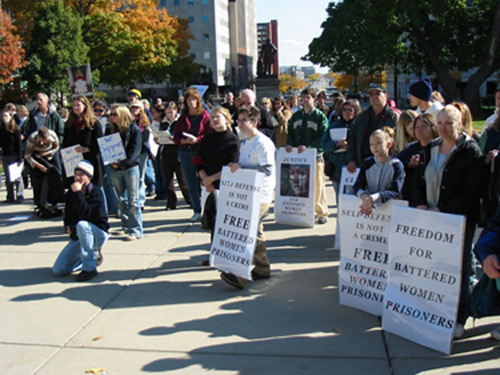 Michigan Women’s Justice & Clemency Project works to free women prisoners who were convicted of murder but who acted in self-defense against abusers and did not receive due process or fair trials; and to conduct public education and advocacy for justice, human rights and humane alternatives to incarceration for women. For battered women prisoners who defended their lives! • Self Defense Law should reflect women's experience, especially battered women survivors. • Sentencing guidelines should mitigate sentences of battered women survivors. • Mandatory education on domestic violence should be required for all judges, prosecutors, police, parole board, correctional personnel. • End 4 point chaining and other torture in Michigan prisons.